The GE Corometrics 259cx maternal/fetal monitoring system includes all the features the provider needs to provide a high-quality birthing experience. This machine monitors uterine and fetal activity including fetal heart rate and has enhanced maternal monitoring features including temperature, oxygen saturation, ECG and non-invasive blood pressure. 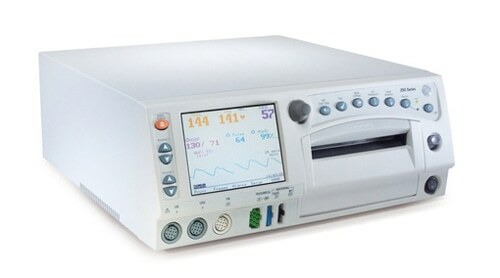 The 259cx model is the fully equipped maternal/fetal monitoring system.